Daily Current Affairs (April 15, 2019) like many other sections is inevitable and this also helps to score in the Banking awareness, Static GK and Financial Awareness sections. Remember, Banking Awareness and Static Awareness Questions are asked from the General Awareness section. This will also help you to ride your preparations for the forthcoming exams. The arrest of Julian Assange, the head of the anti-secrecy website WikiLeaks, has renewed a global debate on balancing freedom of expression (or the right to information) with considerations towards the national security of a country. After nearly seven years of eluding authorities in the U.S. and the U.K., facing charges related to theft of classified information from government computers, he was dragged out of the Ecuadorian Embassy in London on April 11 following Ecuador President Lenín Moreno’s withdrawal of his country’s grant of asylum to Mr. Assange, for “repeated violations to international conventions and daily-life protocols”. Ecuador had earlier limited Mr. Assange’s Internet access. 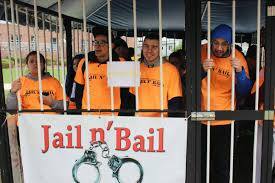 As he sits in jail for up to a year on bail-jumping charges from 2012 in a now-closed case relating to sexual assault allegations by a complainant from Sweden, he will find out whether he will ultimately face the prospect of extradition to the U.S. There, Mr. Assange is looking at a single count of conspiring, with former U.S. Army intelligence officer Chelsea Manning, to break into a secret government computer network. Conspiracy charges, rather than those under the Espionage Act, are what he will likely face, given concerns in the U.K. that he should not be extradited to any country where the death penalty is applicable in his case. At the heart of the drama is the question whether Mr. Assange is a “journalist” in the traditional sense of the word and whether, following that line of reasoning, freedom of expression is endangered or constrained by the action taken in this case. There is some irony in this debate given that the voices of liberal America are clamouring the loudest for his interrogation for the alleged crime of conspiracy, not so much in the case of the U.S. diplomatic cables or the dissemination of related top-secret U.S. government information — but owing to WikiLeaks being linked to rogue actors in Russia who allegedly purloined Democratic Party documents and handed them over to Mr. Assange for use on his website, thereby tipping the scales in Donald Trump’s favour in the 2016 election. Nevertheless, can WikiLeaks be considered a mainstream media organisation? Perhaps not. However, the arrest highlights troubling facts, including that the indictment against Mr. Assange, revealed only this month, appears to be flimsy, for it relates to a conversation he is alleged to have had nine years ago with Ms. Manning on a computer break-in attempt that ultimately failed. At a time when strongmen-led governments and resurgent nationalism are at the forefront of domestic politics in many countries, the arrest of a prominent anti-secrecy advocate is likely to have a chilling effect on whistle-blowers everywhere. That could ultimately weaken democracy itself. 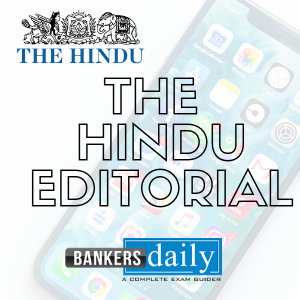 Check the other – THE HINDU EDITORIAL vocabulary words from previous days in THE HINDU EDITORIAL section which has bilingual meanings.